Located in the heart of Dublin, the Colossus Casino Club claims to offer the most diverse and fun-filled gaming experience in the city. 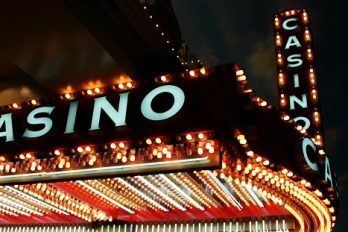 Although the name suggests the club is merely a casino, many players con-sider it to be far more than that thanks to the unique atmosphere the venue offers. For some individuals, the appeal comes from the fact that the attraction is a part casino and part sports bar. This unique atmos-phere allows players to enjoy an element of traditional casino gaming whilst they watch their favourite teams on the wide-screen TV. Showing all the major sporting events throughout the year, the club at-tracts players of all sorts; with one main screen and five additional screens throughout the venue, it’s not difficult to see the appeal. The Colossus Casino holds an element of prestige within the city; as the oldest casino in the whole of Dublin, it’s easy to see why the casino is so admired. Unlike many popular casinos, the Colossus offers a free membership. Like all Irish casinos, you will need to complete a membership form before entering. While this is free and processed immediately, this process will need to be done before you are granted access. Currently, all of the casinos in Ireland are still governed by the Gaming and Lotteries Act of 1956. According to the outdated laws included under this act, technically casino gambling is still illegal in Ireland. To abide by this, most of Irelands top casinos are actually private, members-only clubs. While small casi-nos have been able to operate under this category, the law has prevented most of the major gambling establishments from opening in the area. The Colossus Casino focuses mainly on games such as blackjack, roulette, Brit Brag, and poker. Typically, games of poker are played in a separate room where tournaments and cash games are offered seven days a week. In addition to offering live table games, a selection of touch-screen games is also available for players looking for modern casino gaming. For those looking to partake in table roulette, they must begin by passing their money to the dealer in return for chips. Depending on the player’s preference, the chips will either be colour chips or cash value chips. Once players have received their chips, they can begin to place them on the roulette table. Players must have placed all of the chips before the ball lands in a designated slot; whatever slot the ball drops into is the winning number. Once the game is finished, coloured chips can be swapped for cash chips which can then be exchanged for money. Once your membership has been confirmed, you’ll be able to enjoy the diverse range of casino games on offer at Colossus. With a variety of table based games including blackjack, roulette, Caribbean Stud Poker, and a unique variation of three-card poker known as Brit Brag. Before setting off to play any of these games, make sure to look on the casino’s website for the free £10 bet voucher. Another great way to reap the rewards on offer is to join the Colossus Club loyalty program. Once you’re signed up, earn stamps whenever you play roulette, Brit Brag, or blackjack; once you’ve collected enough stamps, you can exchange them for a prize. Choose from a range of popular prizes including polo shirts, hoodies, ashtrays, and hats. One of the aspects that players find most appealing is the incredible variety of casino promotions. 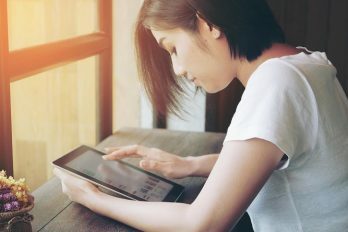 Many people think that online casinos offer the best promotions, but the Colossus Club seems to prove this theory wrong. The Three 7s promotion is always popular; with this offer, £25 is added to the jackpot each day. To win the cash prize, just hit three suitable sevens – it’s really that simple! Better still, you can still scoop the jackpot with a smaller stake. For players that would like a taste of the Colossus atmosphere without having to venture into the physical attraction, a wide variety of their games and promotions can also be enjoyed online. Today, finding an online casino that offers the same opportunities’ as a land-based venue can be difficult. To ensure that customers are completely satisfied with their experience, though, Colossus Casino has partnered with renowned industry name, Mr Green Casino. After taking a moment to sign up online, players can enjoy a range of both contemporary and classic games – all of which come with a digital twist! Whether you live on the other side of the country or you’re just not feeling up to leaving the house, rest assured you can still immerse yourself in the Colossus Casino experience. Better still, the online casino is open 24/7 – per-fect for players looking for late night gaming action. Colossus Casino Dublin is one of the most diverse and fun-filled casinos in the whole of Ireland. If you are thinking of venturing into the city, the club is well worth checking out. With their array of live tabletop games and widescreen TVs showing all the major sporting events, Colossus has something for everyone. If you live further afield, their online casino is a great alternative; open 24 hours a day 7 days a week, the online site is ideal for those interested in some late night gambling. New Reel Island Customers Only! What are the Casino Attractions Other Than Gambling? 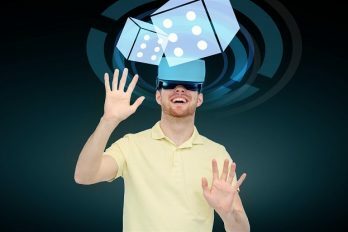 What’s a virtual reality casino?